The Samsung Galaxy S 4 will hit the country later this month. And while everyone's frenzied about it, Globe was zealous enough to release both Prepaid and Postpaid pricing for the Korean giant's flagship phone. On prepaid, you can have the 5-inch powerhouse for just Php 30,990! That's the 16GB LTE variant that is powered by a 1.9 GHz Qualcomm Snapdragon 600 processor. However, there are no press release yet on the Exynos Octa variant. In the meantime, you can exercise your decision-making skills between White Frost and Black Mist hues. Flexibility is the a trend in Postpaid and Globe has exercised that notion in their deals lately. 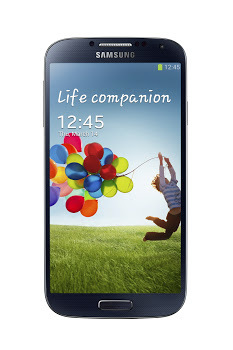 You can get the Galaxy S 4 on the popular Plan 1799 free with 30-month lock in period. Likewise, you may also opt for the regular 24-month lock-in if you pay the Php 4800 cashout. Follow th link below for the Galaxy S 4 application form.